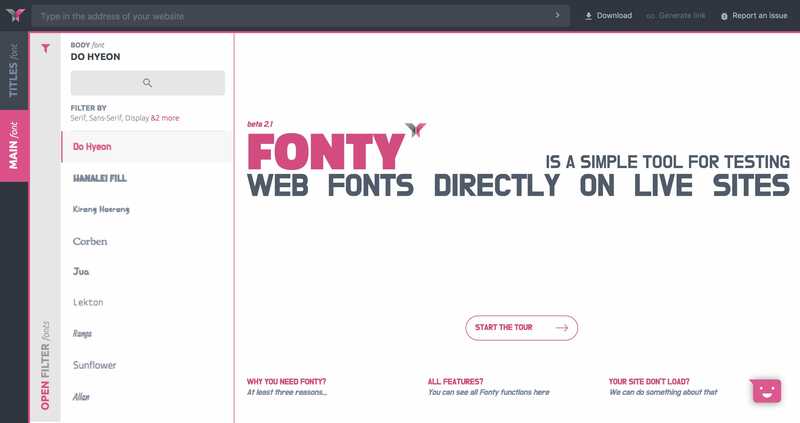 One Pager for Fonty, a web app that helps preview different fonts on live websites. Improve your work with web fonts and choose them in real site with real sizes and styles as created. You can compare the differences between web fonts rendering on all modern browsers. You don’t need access to your website code and you can try it with almost any site you know.